The estimated gross interest earned upon the date of maturity on a deposit of £10,000 is £185.00. This projection is for illustrative purposes only and does not take into account individual circumstances. 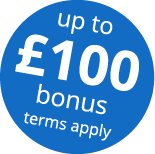 To purchase this deposit account, you must apply online through Raisin UK. These savings accounts (Raisin issue) are only available through this online application process, and to be eligible to apply, you must be a UK resident who is aged 18 or over and hold a UK bank or building society account. Because this savings account is a fixed term deposit, withdrawals are not permitted before the maturity date, except if an account holder dies, becomes mentally incapacitated or bankrupt, or in any other exceptional circumstances agreed to by Axis Bank UK in its absolute discretion. This savings account does NOT operate on the basis that you can end the fixed term of your deposit prematurely and pay a fee to withdraw your funds sooner. Transfers of funds must be received within 60 days (the order window) of your savings account application date. Any funds received after this period will be held in your Raisin UK Account, awaiting your instruction. Typically, your funds will be remitted to Axis Bank UK via your Raisin UK Account once the bank has confirmed your application. Depending on how your funds are transferred and the bank’s processes it can typically take around 4 business days for an ordered account to be set up and start earning interest. Your deposits with Axis Bank UK Ltd – 1 Year Fixed Term Deposit – are eligible for protection by the Financial Services Compensation Scheme (FSCS). The FSCS is the United Kingdom’s statutory deposit guarantee scheme that covers deposits in individual savings accounts up to £85,000, per banking group regulated by the Financial Conduct Authority or the Prudential Regulation Authority. It is available for deposits with most UK high-street and online banks and means if the bank fails, and deposits become unavailable, the scheme may cover your deposit account deposit up to the £85,000 per person, per banking group limit. Compensation limits are per person per firm, not per deposit. Please be aware that if you have other deposits with this bank (or banking group) then the £85,000 protection applies only to eligible deposits up to this limit.